Few people have been woven so quickly into the fabric of a city as Frank Styles. 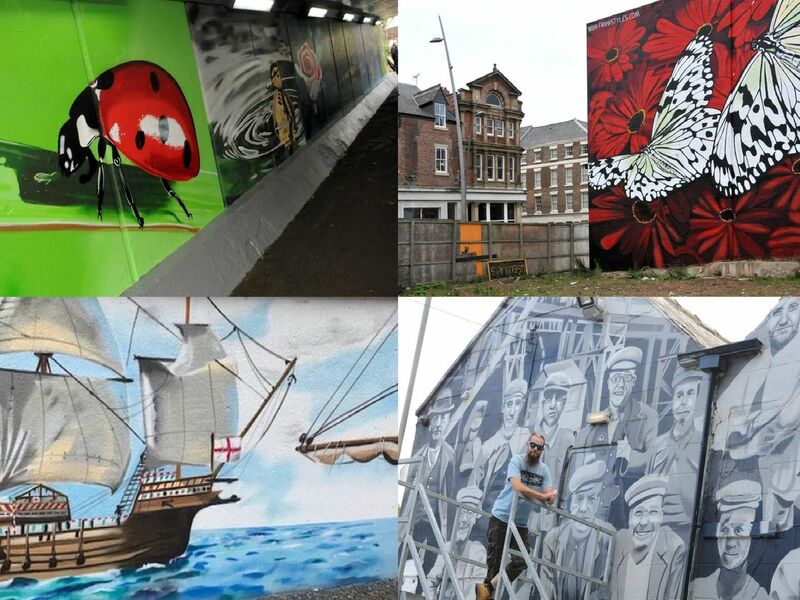 From vibrant butterflies to rich historical scenes, the artist's murals capture the spirit of Sunderland past and present. The work of the spray paint artist, who graduated with a degree in fine art from the University of Sunderland, can be seen at locations around the city. Here's a look at some of his murals to whet your appetite - why not take a wander round to see them in real life, and take in more of his work. Frank's work at Panns Bank, which honours the shipyards which once thrived on the banks of the river. Another of Frank's commissions was to paint the walls and entrance to the subway under Barnes Roundabout with murals based on flora and fauna. Designs are based on the nature and wildlife found around the area, especially Barnes Park, with moor hens, rabbits and even a deer featured.